What is a Diary and Why Should I Keep One? You probably don’t have many places you can write honestly about things that matter the most to you. You talk to friends and family, think about things quietly to yourself, but rarely do you get these thoughts onto paper. Everyone needs a safe space to discuss how they feel, without worrying about other people’s opinions. Think of a diary as safe haven for this. So, what exactly is a diary? A diary is a place where you record events, experiences and other personal things that interest you. You can write about whatever you like, free of outside judgment or criticism. It should be an extension of your mind: safe and free. A diary can be whatever you decide and should be a place where you can be honest. Why write in a diary? When talking to people, sometimes we feel as though we cannot be 100% honest. We worry about what people think, how they will react and feel. We worry about how people will perceive us after we share our thoughts and feelings with them. With a diary, you don’t have to worry about anyone but yourself. Be as honest as you can possibly be. Your diary is for your eyes only, and with Penzu, is kept that way. Diaries are also a great way to record life experiences and learn from them. What you think about one thing today is probably different then how you will think about it next week, next month or even next year. Since a diary is comprised of dated entries, you will express your feelings towards something when it is very fresh in your mind. You can then look back on those entries in the future and see how your feelings may have changed, or maybe how they have stayed the same. If you have ever wanted to get better at writing, the only way is to just write. By keeping a diary, and writing about what you know and what you care about, you can practice your writing in a very casual way. When writing in your diary, you don’t need to worry about anything but writing. You don’t have to get caught up in grammar or sentence structure. You can just write freely and, as time goes on, you can see how your writing evolves. Writing can be very therapeutic and it a great way to relieve stress. If there are any things you may be worried about or are weighing on your mind, getting them down on paper is a wonderful way to get these things off your chest and off your mind. Keeping a diary is a great way of problem solving. Maybe you are having trouble with a friend or a work colleague? Maybe you are not sure how to move forward with something? By writing down your grievances, problems and questions, you will be able to read through them and think through them more clearly. With a diary, you don’t have to keep everything bottled up inside. You can express how you are feeling and work through your thoughts and problems with your own words. There are many more different types of diaries and reasons for writing them, but we want you discover them for yourself! 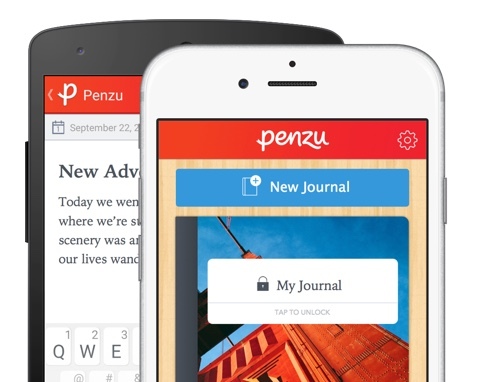 Sign-up with Penzu and find more benefits today!